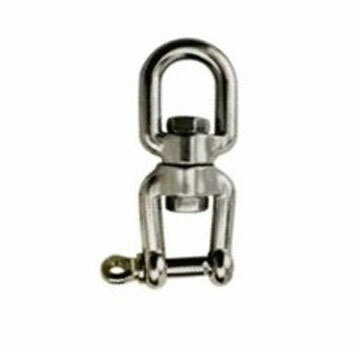 PRODUCT: #SSJ516 5/16" STAINLESS STEEL SWIVEL, EYE-JAW, 3-5/8" overall x 5/8" wide, 1100 lb. capacity. 10/Pack. Price/Pack.